Punta Cana is known for endless stretches of stunning beaches. It is often referred to as the Coconut Coast where no resort is higher than the highest palm tree. 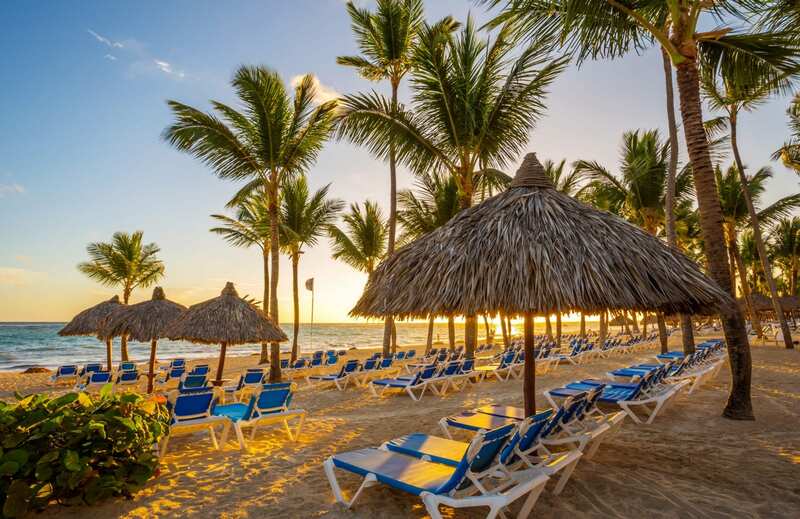 There is no shortage of palm trees on Punta Cana’s 40 miles of spectacular white sand beaches! You will find great restaurants, casinos, world-class spas, and amazing golf courses. Nearby, Cap Cana features the largest inland yacht marina in the Caribbean surrounded by elegant shops, restaurants, and world-class golf. The average temperature in the Dominican Republic is 81 degrees.